Yesterday I reviewed the new Plaza Premium departure lounge at Heathrow Terminal 5 – click here. It is a classy but small lounge. You cannot get in with a Priority Pass or Lounge Club card, so your only options are cash (the Plaza Premium booking page is here), showing an American Express Platinum or Centurion card or using DragonPass. It turns out that DragonPass is running a few promos at the moment with selected partners that can get you into Plaza Premium Terminal 5 from just £15. The best deal is £15 for O2 Priority customers (buy a £1 O2 SIM in your local newsagent and register it for O2 Priority if you don’t have one). An offer code is needed. There are similar deals – the ones you are most likely to qualify for are for Daily Telegraph subscribers (£18, code TELEDP17) and Addison Lee customers (£20). The Addison Lee offer does NOT require an offer code so this one is available to everyone. Register for an Addison Lee taxi account if you want to strictly play by the rules. Use code WELCOME15 when you sign up and you’ll get £15 off your first Addison Lee ride. Please note that yesterday both the O2 and Addison Lee offer sites were being very buggy and there is no guarantee they will be working properly today. The Telegraph site was working OK.
Full details of all the Heathrow Plaza Premium lounges can be found here. Lufthansa has announced that its Miles & More frequent flyer scheme will offer ‘mileage pooling’ from May. This is potentially very interesting. It will allow two adults and up to five children to share an account. This will allow me to put the 14,000 miles that my wife has to some use. What is not clear is how this impacts expiry. I have the UK Miles & More credit card (closed to new applicants) so my miles do not expire. My wife does not and her miles will start to expire as they reach the three year anniversary of being earned. Will family accounts allow every member of the pool to be covered by the most generous expiry policy of its members? 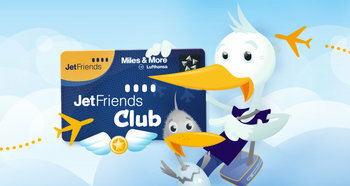 If nothing else, you should be able to earn some miles by signing up your kids for JetFriends. Whilst it isn’t mentioned on the home page, new JetFriends accounts come with a 2000 miles bonus – no flying required – and this will presumably be merged into your family account once pooling is launched. You can find out more on the Miles & More website here. One thing I picked up on my trip to ITB in Berlin this week was a discount code for BMI Regional. Discount code captain will get you 10% off your next flight. It is valid for bookings by, and travel until, 31st December 2018. Codeshare flights are excluded. The discount only seems to apply to the base fare. 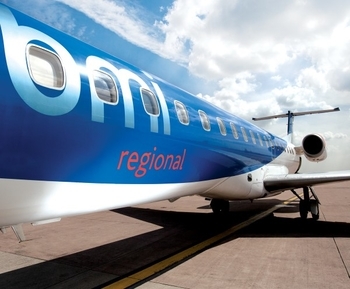 You still get complimentary drinks, snacks and checked baggage with BMI Regional too! Men took two days to transfer, although it was to an already registered account. Yes, I was very surprised as the amex rep said yesterday that SPG were very slow at the moment. OT – if I refer my spouse for the free BA Amex card, from my Amex plat, do I get a referral bonus, and if so how much? 18k to you and spouse should get their sign up bonus too. Weird – because they clearly have a branded website!